Help hurting men, women, and children in the greatest of need this Easter, Passover, and beyond! 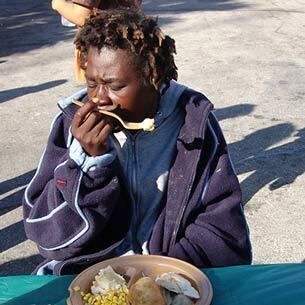 Help show the homeless and needy that people care this Easter, Passover, and beyond. Every $2.10 provides for a hot, nutritious meal for someone in need. We believe that "Hope often begins with a Meal". It is hard to speak to someone about changing their life when they are hungry, tired, and hurting. "Thanksgiving on Good Friday" will bless thousands. . Your gift will bring more than just a meal - it will bring Hope and more importantly an opportunity for a person to experience a new life this Easter and Passover season. There will be family activities, clothing give-a-ways, Mission Hope Bags, great entertainment, Easter baskets for the kids, and delicious food. It all happens on Friday, April 19th from 10AM til 1 PM at our Miami-Dade and Broward Centers. Our volunteers will be washing the feet of those in need and Barry University will be providing foot care at each Center. This is all made possible because of our wonderful supporters. We will be encouraging people to enter one of our programs and start making a transformation in their lives. Special thanks to all at 610 WIOD News Radio for hosting a special share-a-thon. 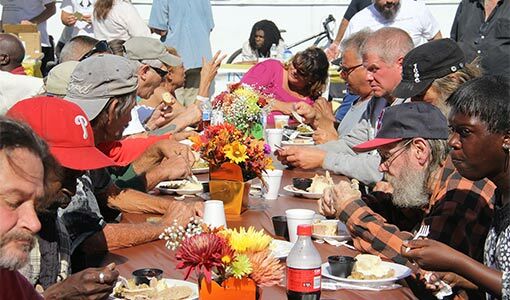 Thank You for giving so that "Thanksgiving on Good Friday" can be shared with those in the greatest of need. Your gift will bless people who are struggling and will help break the cycle of homelessness.